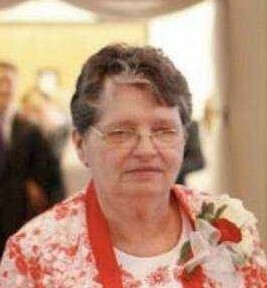 Dorothy Dils Rumble Douthitt, Smithfield, Pa.
Dorothy Dils Rumble Douthitt, 83 of Smithfield, Pa. died on February 12, 2019 and went to be with her Savior and Lord Jesus Christ. She was predeceased by her parents, Donald A. Dils Sr. and Cindy C. Vought Warren; husband Joseph Douthitt and step-daughter, Debbie Brant. Surviving are her children, Barry and Kathy Rumble, Yorktown, Virginia, Ginger and Alvin Gilchriest, Conroe, Texas and Tracy Uphold, Oakland, Maryland; grandchildren, Zach, Joshua, Brian, Nicholas, Randy, Jessica, Laura, Crystal and Sarah; six great grandchildren; step children, Pamela Metz and Wanda and Kevin O”Brien all of Fairchance, Pa., Rod and Kim Douthitt, Perryopolis and Sandy and John Carson, Scenery Hill, Pa.; step grandchildren, Joel Douthitt, Pastor Aaron Douthitt, Pastor David Douthitt, Lauren Carson and Liz Carson; four step great grandchildren and other loving close family and friends, Linda Chess, Elma and Donald Dils III, Diane and Chuck Ciezynski, William and Jo Dils, Vicki Douthitt, Patty G. Miller and Donna Stanton. Dorothy was a member of Bethel Baptist Church, Uniontown, Pa. The family will greet friends and family in the Dean C. Whitmarsh Funeral Home, 134 West Church Street, Fairchance, Pa. on Tuesday, February 19 from 6:00 to 8:00 p.m. and on Wednesday, February 20, 2019 from 10 to 11:00 a.m. The Funeral Service will begin at 11:00 a.m. with Pastor Bryan Kelley officiating.